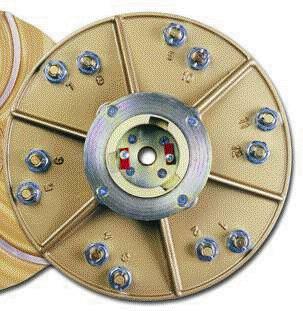 Designed and fitted with a replaceable, four sided, abrasion resistant, carbide insert. Use for scraping and removal of a variety of coatings and paints from concrete surfaces. Use in removing, mastics, glue, rubber or foam backed carpet residue, dirt buildup, ice and paint. * Please call us with any questions about our polisher head carbide tipped rentals in Tulsa OK and neighboring communities in Northeastern Oklahoma.